Last Christmas, after dominating the West End with three productions running simultaneously, the endearing chaos of Mischief Theatre made its first foray into TV, introducing wider audiences to the fictional Cornley Polytechnic Drama Society as it blunderingly staged Peter Pan . 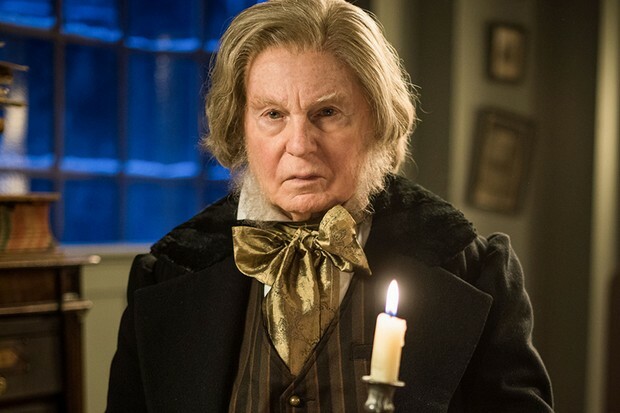 This year’s offering, A Christmas Carol, suffers slightly by comparison because it relies on remembering that the CPDS was banned by the BBC after last year’s disastrous broadcast. That’s why they decide to kidnap the cast and crew of a live BBC production of A Christmas Carol in order to perform it themselves. But once the backstory is out of the way, and it’s all up and running, the physical and visual humour is as brilliantly funny as we’ve come to expect from the soon to be world-dominating Mischief Theatre .